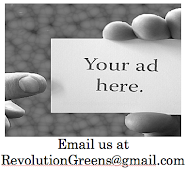 Revolution Greens: Love your baby. Love the planet. -Not contain health compromising chemicals - including alkylphenols, polyurethane, petroleum distillates, phosphates, chlorine, chlorinated or brominated solvents, petroleum-derived or petrochemical fragrances, parabens, sulfur oxides, organohalides, formaldehyde, trichloroethylene (TCE), perchloroethylene (Perc), dioxins and furans, hexavalent chromium, organophosphate pesticides, polybrominated diphenyl ethers (PBDEs), di-(2-ethylhexyl)phthalate (DEHP), 2,4, dichlorophenoxyacetic acid (2,4, D). -Not contain genetically modified organisms (GMOs).